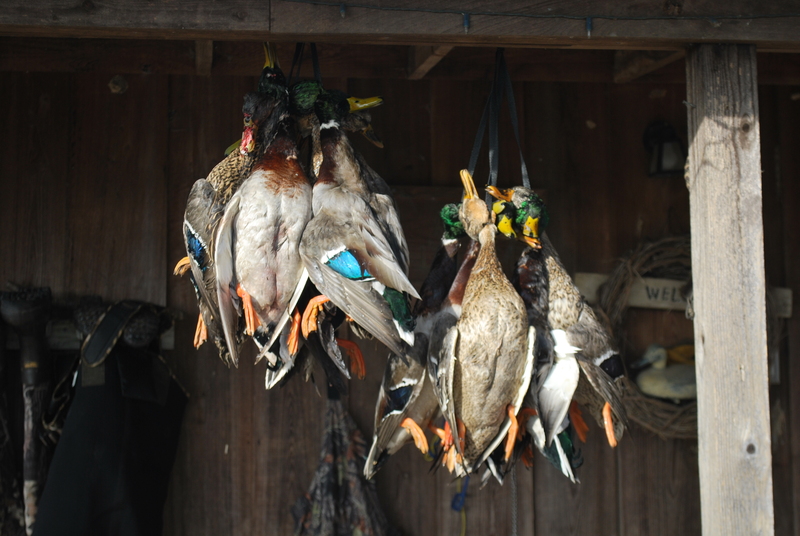 Duck hunting tips, videos, migration reports, and gear. Tips, gear, videos, migration reports, and everything duck hunting. We thought Saturday was going to be awesome duck hunting with bitter temps and water freezing throughout the south central Illinois zone, but we were wrong. The wild card we forgot about was the full moon. We broke open the water hole at the club, and turned on the aerator, but with very few ducks in the air, the duck hunting was poor at best. We saw a few groups early headed back into the lake, but that was it other than tens of thousands of snow geese. With no clouds, birds fed all night under the full moon and sat tight through the morning. We not only witnessed this at that club, but many buddies and Ducks Unlimited migration reports had the same tone. Afternoon, duck hunting reports were much better with birds leaving the roosts late afternoon just before sundown. As the full moon gives way later this week, activity should start to pickup. Blake is heading to Reelfoot lake Tuesday with some of the Muddy Dog Outdoors crew to film for the week and Chris and Kevin will make the drive south on Friday to join up for the weekend. We'll hopefully be able to lay down some excellent footage over the course of the week! We'll do our best, depending on cell phone/wifi service, to provide some migration updates from further south down the Mississippi Flyway. The weather looks iffy for the week with highs in the 60's and a chance of rain through mid week. The system will finally pull out and temperatures drop by the weekend which should lead to some better hunting. Well at least we hope anyways! Forecasted low tonight is 16 with a light wind. That type of cold should have the birds on the move looking to fill their bellies. We will do our best to entice them to come eat in our field/waterhole. The light and variable winds tomorrow is the one concern, but you can’t kill em in bed. I traveled 150 miles this morning in search of ducks in a couple off the wall places that don’t get a lot of pressure. Historically speaking, this is the time of year the ducks usually hit these spots, but very few were around today. So the Fowled Reality team will hit up the duck and goose club in the AM with some extra decoys, open water, and a full battery on the vortex in hopes of putting down some green! Good luck to everyone else out this weekend. The cold weather has it’s grips on a large part of the nation and it should make for great hunting for many waterfowlers along the Mississippi Flyway! Mississippi Flyway Waterfowl Migration is heating up!!! This weekend was a tale of two days of different weather in the the south central Illinois waterfowl zone on the Mississippi Flyway. Saturday, we were greeted with warm weather, little wind, and changeable skies. We saw a fair amount of birds early and then again late. A few birds showed interest, but the majority knew where they were going or just didn’t fly at all. With the forecast of an arriving front, light rain, and cooler temperatures, we had higher hopes for Sunday. Our hopes of fresh waterfowl migration and colder temps came true on Sunday. We witnessed numerous groups of waterfowl migrating south with the colder temperatures and rain. We didn’t go more than five minutes without having birds work, or seeing them fall from the heavens into the refuge. With the number of birds we saw, we should have easily had limits, but most birds had no intentions of working. The crew tried numerous times to rearrange the decoys and adjust the mojos in hopes of enticing more, but nothing seemed to work. We made the most of the groups that did work and managed to take 17 birds with 4 guys in the pit! Our take was a mix of mallards, widgeon, and pintail. With cold temperatures in the forecast, the hunting should continue to be great as the birds continue their migration south through Illinois along the Mississippi Flyway. As smaller water starts to freeze up, the birds will become more concentrated on larger water. Fire up the ice eaters in your pot holes, concentrate on rivers/large lakes, or spend some road time searching for birds hitting the fields and you’ll be in for a good hunt. http://fowledreality.com/wp-content/uploads/2016/06/FRLogoWhite-300x200.png 0 0 Fowled Reality http://fowledreality.com/wp-content/uploads/2016/06/FRLogoWhite-300x200.png Fowled Reality2011-12-06 01:24:212012-06-01 12:55:14Mississippi Flyway Waterfowl Migration is heating up!!! We have finally had some colder weather up north and a few days of NW winds to start a little waterfowl migration. The Southern Illinois waterfowl survey count is up over the course of the past two weeks, but still slightly behind the 5 year average. Just under a third of the birds counted in Southern Illinois are at Pyramid State Park. Chris and Blake are headed that direction tomorrow evening for a hunt on Saturday. Hopefully it’ll be a good one! With the cold weather this week, lakes are starting to ice over pushing the birds into the open water they can find. From the Mississippi River surveys, it appears the largest concentration of Mallards is located in the central part of the river. Over 270,000 ducks are in this area. The next cold push should spur large waterfowl migration into our main area of hunting in Southern Illinois. Looking long-range, there is talks of snow across portions of the central midwest the middle of next week. 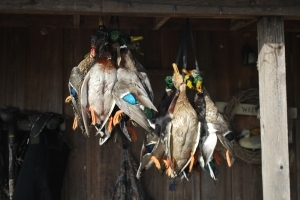 With the snow comes colder weather, more ice, south flying ducks!